TEACHER OF PEACE: And the 2016 Teacher of Peace is…. Art Laffin, the 2016 recipient of Pax Christi USA’s Teacher of Peace Award. Washington, D.C.— Pax Christi USA, the national Catholic peace movement, has recognized Art Laffin, a long-time Catholic Worker based in Washington, D.C., as the 2016 recipient of the Pax Christi USA Teacher of Peace Award. Laffin’s selection hearkens back to the original recipient of the Teacher of Peace Award, first given to Dorothy Day, co-founder of the Catholic Worker movement, in 1978. 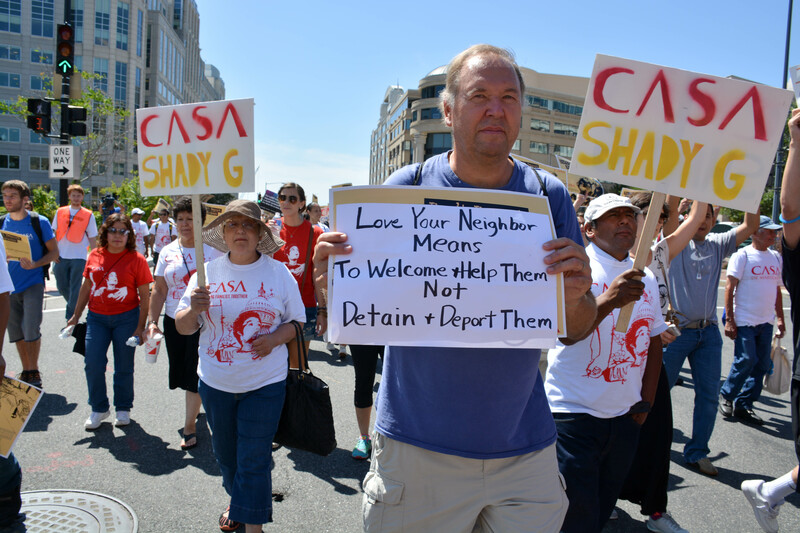 Since then, Pax Christi USA has recognized some of the most significant U.S. Catholic activists for peace and justice of the past 4 decades, including actor Martin Sheen; poet and priest Daniel Berrigan, S.J. ; and Dead Man Walking author Sr. Helen Prejean, C.S.J. 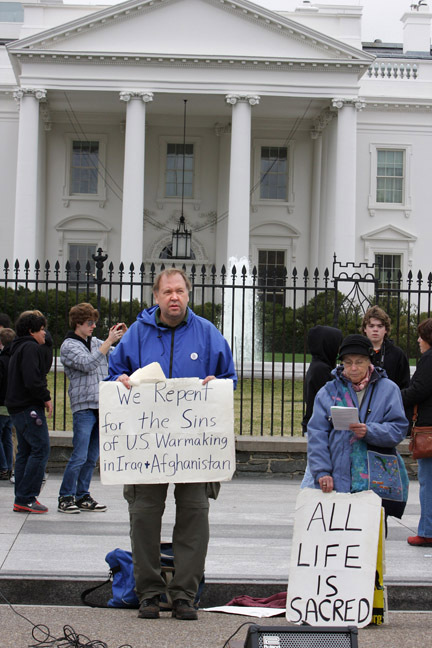 Art Laffin at Ash Wednesday service in front of the White House. movement for peace and justice for over 30 years. He has taken part in Plowshares actions, led regular protests at the Pentagon, participated as a member of Murder Victims’ Families for Reconciliation in their Journey of Hope anti-death penalty speaking tours, spoken internationally on numerous issues, and lived among and served the impoverished and marginalized people living in our nation’s capitol. The Teacher of Peace award will be presented to Laffin at the Pax Christi USA National Gathering in Linthicum, MD in August. For a full list of this year’s nominees, click here. 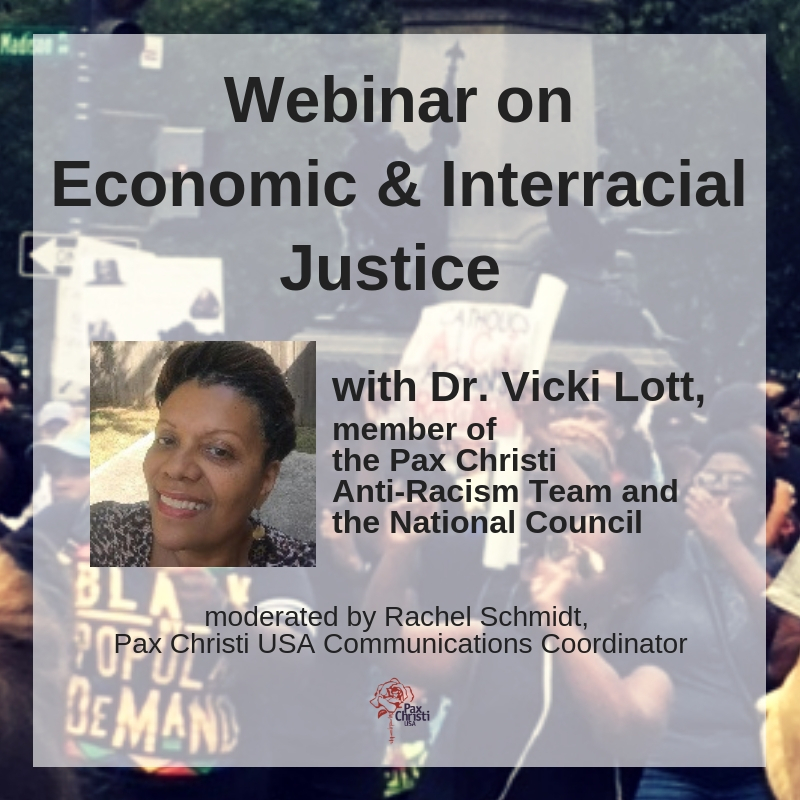 For more information or requests for interviews, please contact Johnny Zokovitch, Pax Christi USA’s Director of Communications, at 352-219-8419 or jzokovitch@paxchristiusa.org. Congratulations, Art, and thank you to Pax Christi USA for honoring Art and his many years of leading us all on the way to peace!